As you know, Megan was a New York Yankees HOPE week honoree in 2011 for her charity work and for helping others "perservere and excel". Since Megan had been doing lemonade stand for years for various charities, the New York Yankees made her a custom wheelchair friendly lemonade stand. Now each year, to continue the tradition, we bring the lemonade stand to the Richmond County Ballpark- home of the Staten Island Yankees- and still give out free lemonade for charity. This year Megan did the lemonade stand for the newly launched Staten Island Yankees Foundation , along with her friends and family. 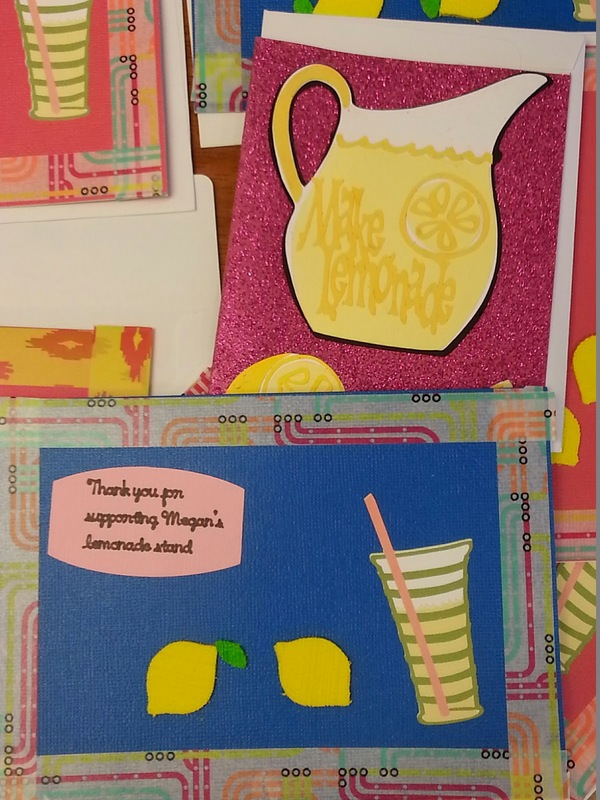 The lemonade stand raised over 4500 dollars last week! See the stand, with her last minute sign on the side of the stand and the thank you notes she is still making. 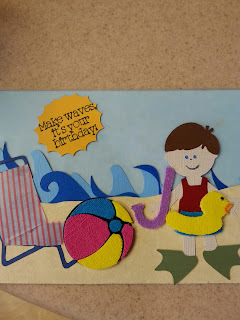 The thank you notes incorporate the Cricut Explore, washi tape and Cricut craft foam. 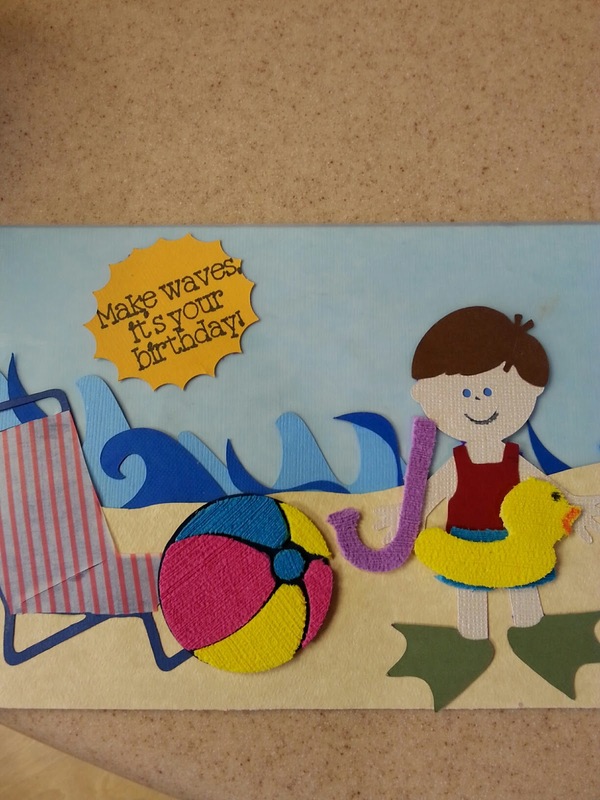 Megan used the Cricut Explore to make this card for Michael and Liz. They got engaged at Disney last September and when Megan gave this to them at their engagement party last week, they seemed pleased that she incorporated the Cinderella theme, Michael's love of Star Wars, the date they met and they date they got engaged. Now what can we do for the wedding next year?